"You ask how can you be bound to me when I do not know you personally..."
and observing Torah-study times - in this is the bond." 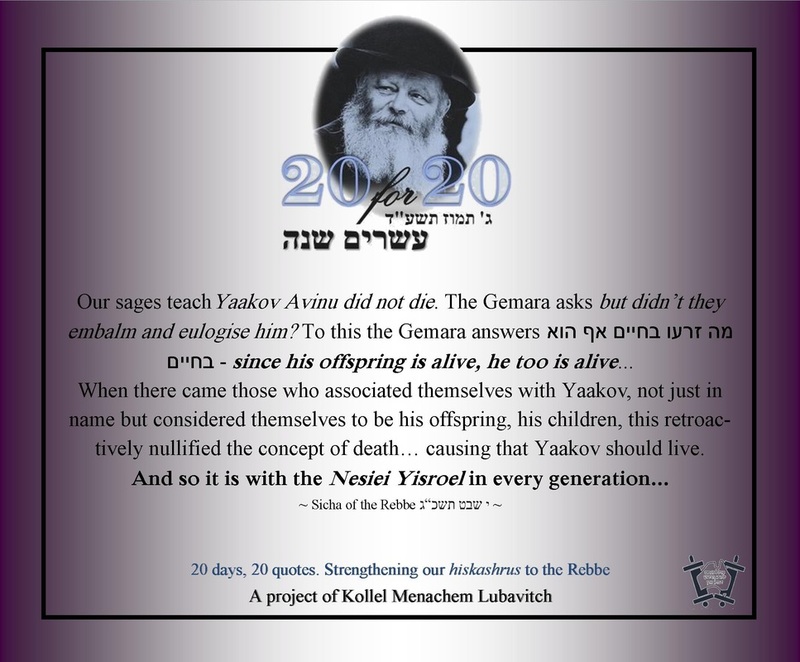 This year marks 20 years since Gimmel Tammuz. 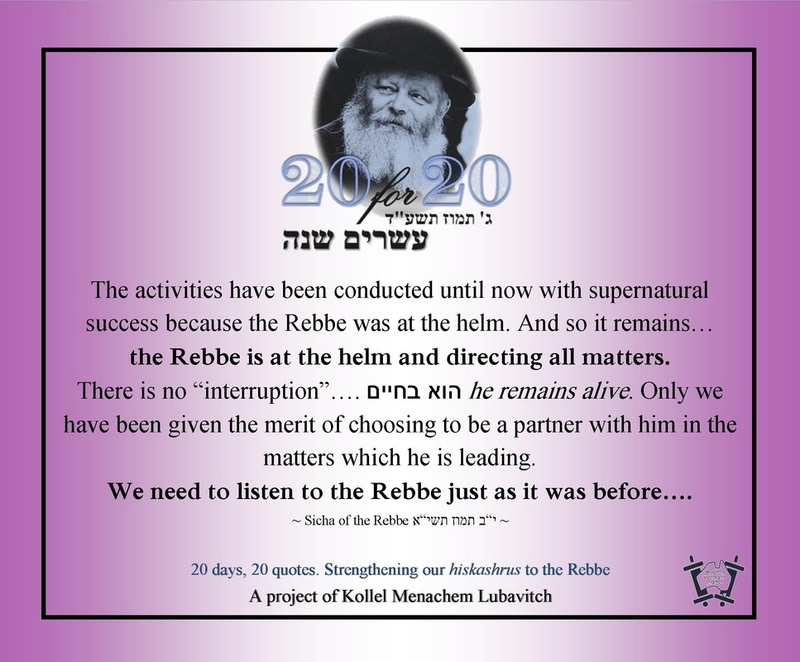 It is an opportune time to strengthen our hiskashrus to the Rebbe. 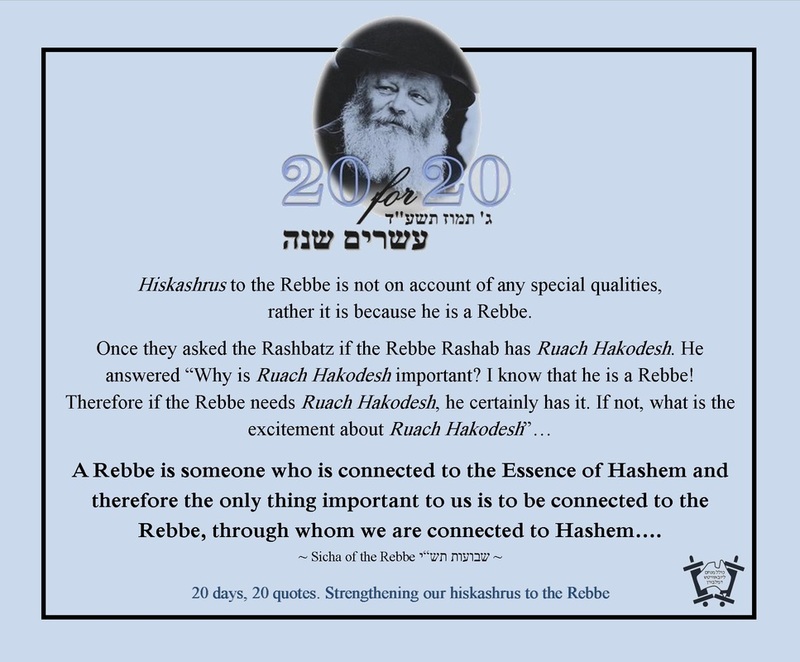 Hiskashrus is achieved and strengthened by learning the Rebbe's teachings and following the Rebbe's directives. 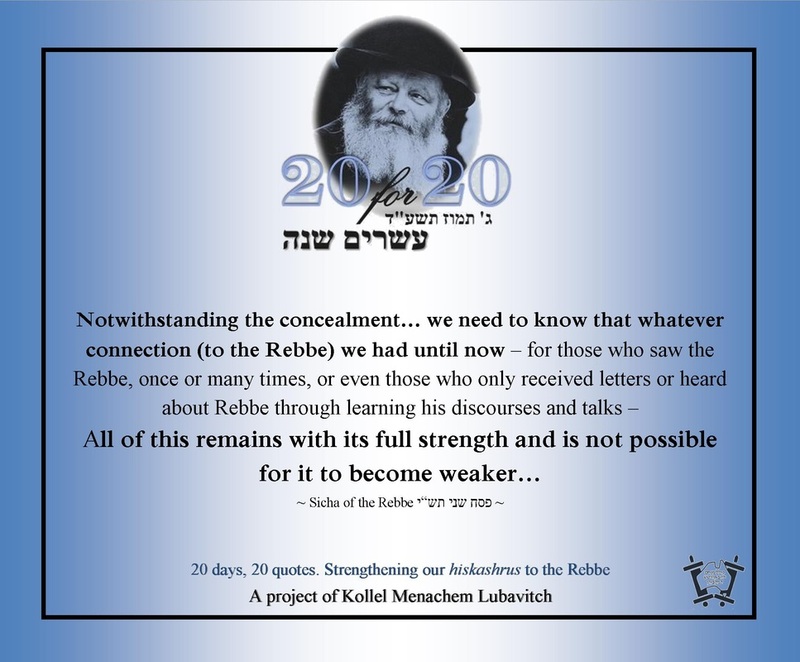 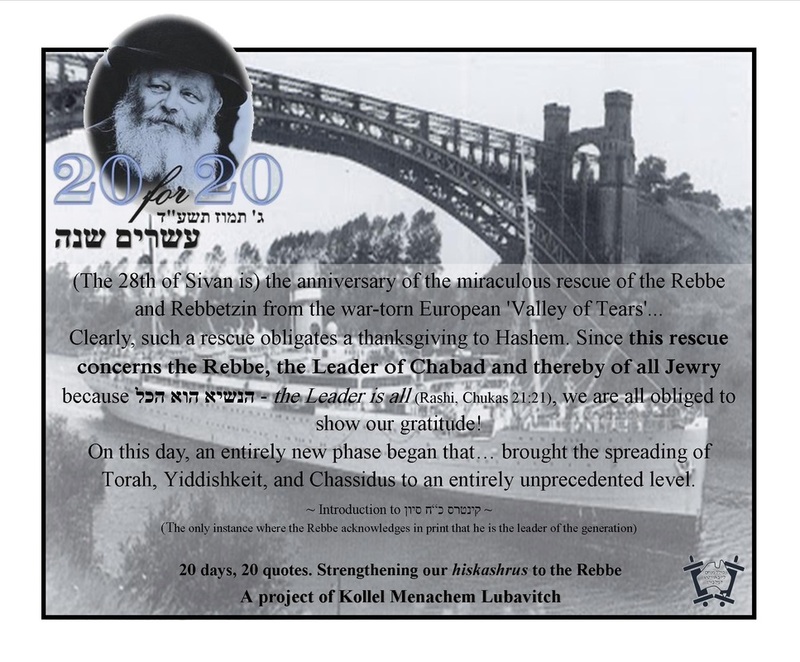 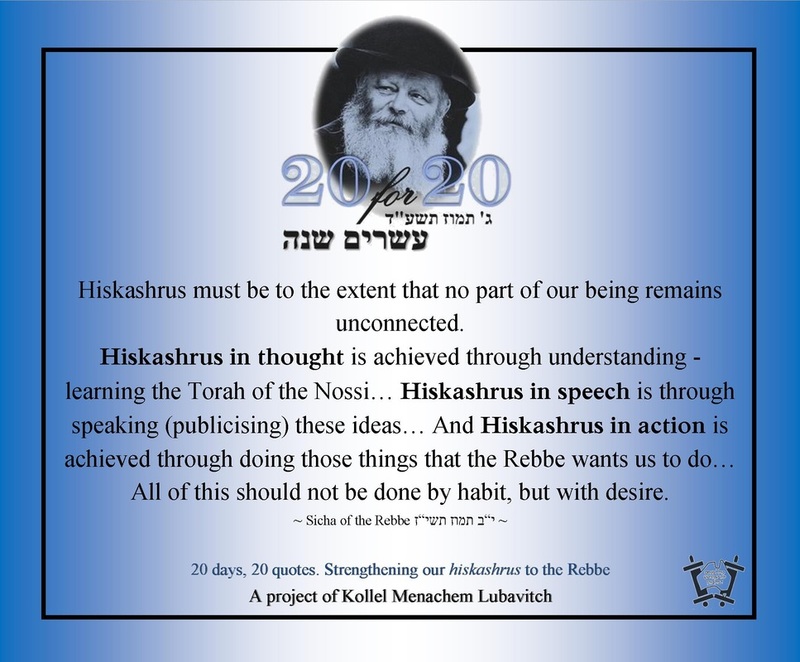 "20 for 20" is a Hiskashrus program being run by Kollel Menachem Lubavitch, presenting inspiring quotes of the Rebbe on the theme of Hiskashrus and remaining connected to the Rebbe and fulfilling our Shlichus. Each day we will present a different quote.